Except for a year in Detroit, Merchant grew up in two small New York towns, both near Ohio. She attended public schools. Her father was a jazz musician, her mother a secretary. They divorced when Natalie was in elementary school. Her mother then married a college professor. 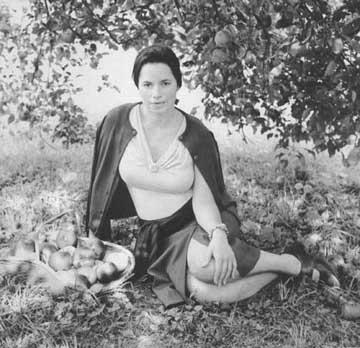 Natalie Merchant graduated from Jamestown Community College. Her first solo album, "Tigerlilly," sold more than 4 million copies. Merchant has performed hundreds of concerts at large theaters in New York City, London, Tokyo, Paris, and many other cities. She owns homes in Spain, Hawaii, upstate New York, and Japan.